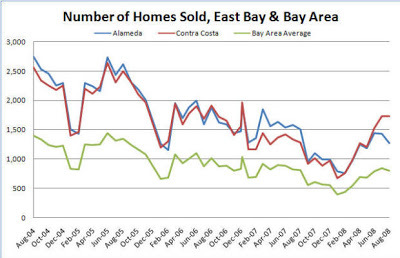 Home sales in the East Bay and Bay Area, including Berkeley, Oakland, El Cerrito and surrounding areas have seen a dramatic decline over the past four years. However, since February of this year, sales have begun to gradually increase. 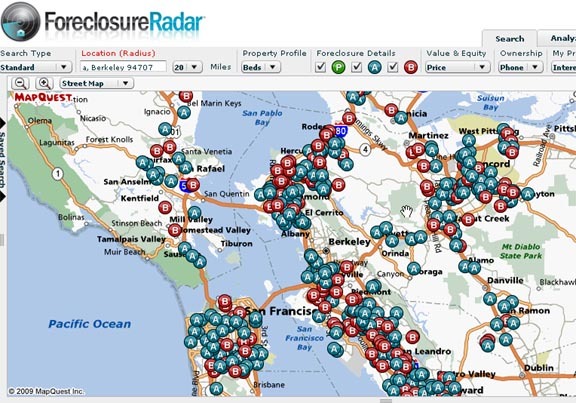 Those areas hit hardest by foreclosures are the same areas seeing the largest increase in sales. 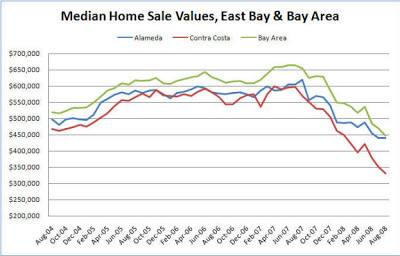 Currently median home values are at their lowest in over four years. 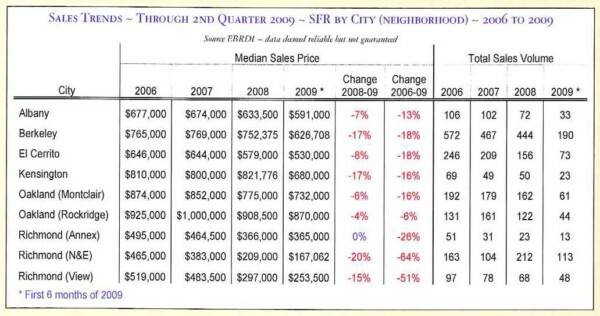 Year over year we have been seeing a price decline around August, with August ’07 seeing the greatest decline. This rate of decline is expected to continue into next year, although the rate of decline is expected to not be as drastic. Now lets look at my town: Berkeley, Albany and Kensington…for the past year, values have held strong. The up and down action you are seeing is normal. 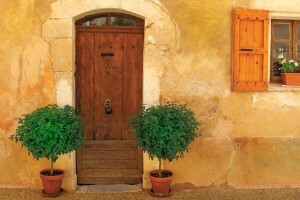 What isn’t normal are the multiple offers we are still seeing in many areas. 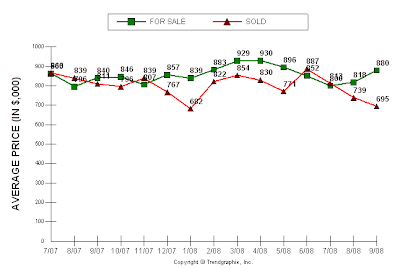 But these graphs show why: the number of buyers continues to outweigh the sellers.